December 21, 2016 0 comments on "Crock Pot Holiday Potpourri"
Are you wanting to give your home the scent of the holidays? 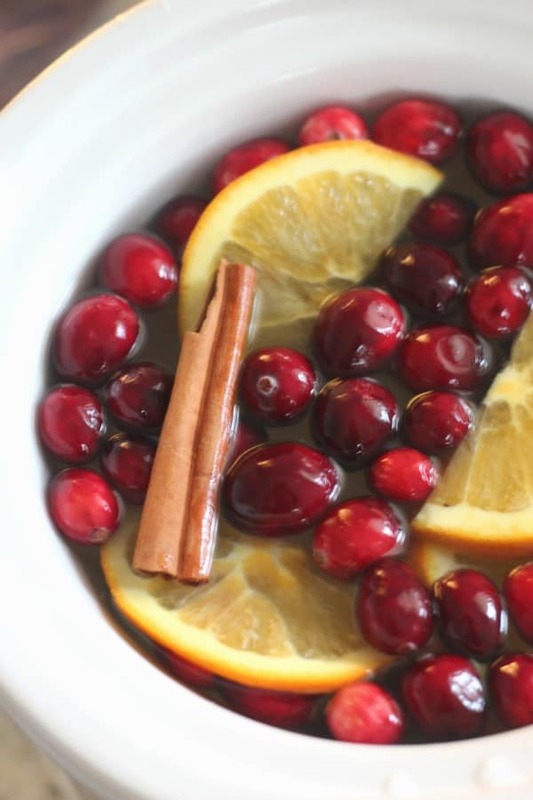 This crock pot holiday potpourri is really easy to make and you can heat it up in your crock pot. You may even already have everything on hand that you need to make it. Cut the orange into slices about 1/4 inch thick. You can simmer this potpourri in either a small sauce pan on the stove top or in a small crock pot. I prepared mine in the crock pot so I wouldn’t have to leave it on the stove unattended. Fill the crock pot with water and place the handful of cranberries, cinnamon sticks, and orange slices in the crock pot. I found that if you aren’t careful your orange slices and cinnamon sticks will sink right to the bottom! That really doesn’t matter of course, but if you want some of your orange slices and cinnamon sticks to float on top (just to look pretty), just make sure to carefully lay them flat on the surface of the water. If you put one end or the other end first, it will sink right to the bottom. You can leave this mixture simmering in your crock pot for 3-4 days before replacing it. Just make sure to keep adding water as necessary. 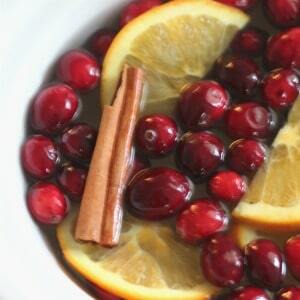 This holiday potpourri is fun to make and will make your home smell (and look) great. Give it a try this holiday season! Like this tip? You might also like these lighted holiday potpourri jars.